The results of studies of the properties of composite materials that are obtained on the basis of low-pressure polyethylene and wheat husk with additives of quartz flour, adhesion promoter, and lubricants are given. The influence of the prescription composition of composite materials on the physicomechanical properties of products is determined. 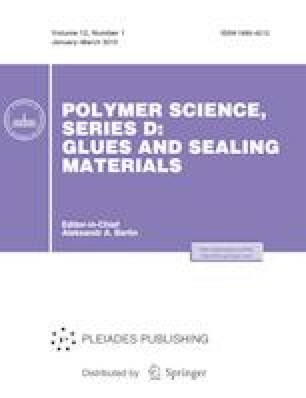 Regression dependences of the effect of the composition of composites with wheat husks and polyethylene matrix on physicomechanical characteristics of the products, such as static bending strength, elasticity, and impact toughness, are obtained. The possibility of replacing wood flour with wheat husk for the production of wood–polymer composites is established. This work was supported by state order no. 10.4763.2017/8.9.